The annual VietBuild construction industry exhibition opened in Ho Chi Minh City Thursday, attracting more than 600 exhibitors including nearly 150 joint-venture and foreign companies. 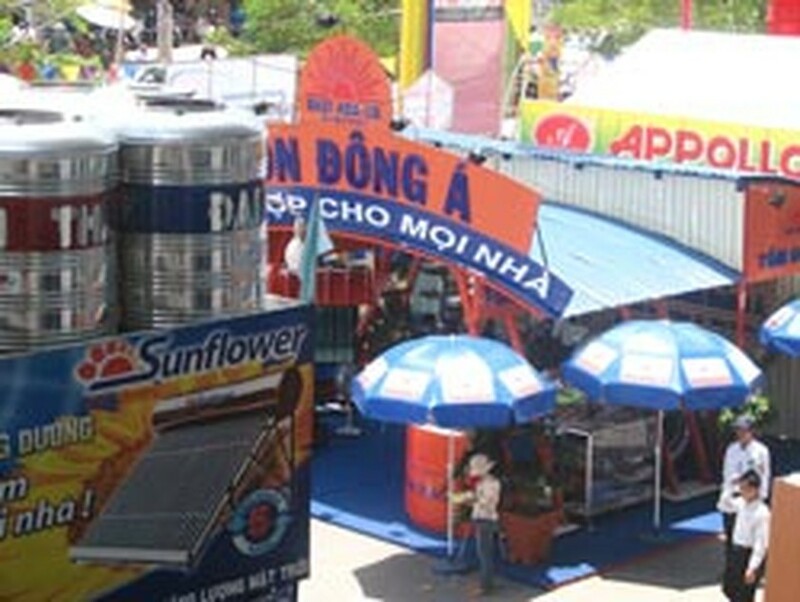 Over 450 domestic enterprises, including 350 from Ho Chi Minh City, (more than 50% of the participants) along with foreign and joint venture enterprises are promoting themselves with 1,730 booths on construction technology and equipment, building materials, interior and exterior decoration materials, real estate development and others. Ten per cent of the exhibitors are from Ha Noi and other provinces make up 15%. The participation of sixty joint-ventures (10%) and 86 foreign companies (15%) from America, Australia, Japan, Korea, China, EU and other regional countries reveals the attractiveness of Viet Nam’s fast growing building industry to foreign partners’ eyes. The fair will run until September 12 with seminars on architecture, construction, natural resources and Viet Nam’s Accommodation Law. Many leading industry players are participating such as the Building Material Corporation No. 1 (Fico), the East Asia Company (EAC), the European Plastics Window Company (Eurowindow), the Binh Minh Plastic Company (BMPlasco), the Phu My Hung Ltd., and the Sai Gon Thuong Tin Real Estate (Sacomreal), etc.